Documentary about couples bringing up multiples, including new parents with triplets as they bring their babies home, plus 21-month quadruplets and 5-year-old triplets and twins. 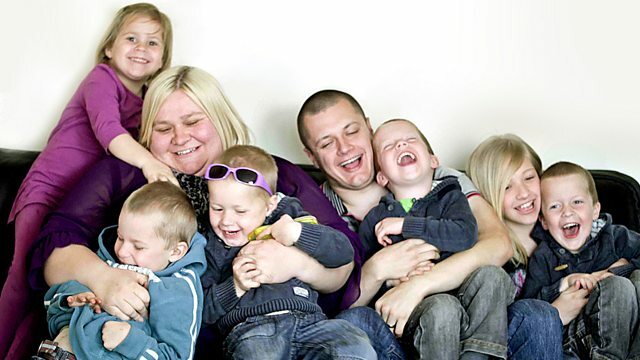 In this eye opening programme, we are on the frontline of parenthood and meet the parents bringing up multiples. We meet young parents to triplets and see their first few weeks as they bring their babies home. We then fast forward to meet other parents further down the line - nine-months triplets, 21-month quadruplets and 5-year-old triplets and twins - to find out what it's really like to raise a big brood. Strict regimes, choruses of tantrums - this is parenting at its most extreme. WEB EXCLUSIVE-What's it like to be a grown up multiple?